Using this addon will give URLs posted in your topics an descriptive title. If a user posts a link outside of bbcode tags and optionally within them, this addon will find them, look up the webpage, get the title, and replace the link with a bbcoded url with the webpages title. 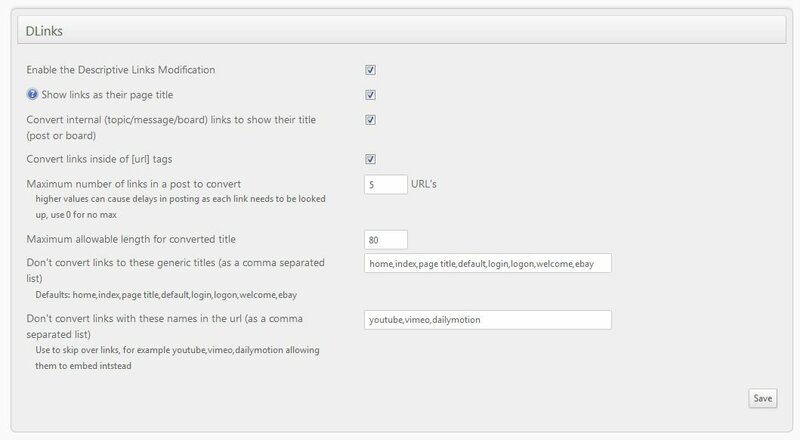 Adds capability to automatically update links in posts to display the links website/page title instead of the url. Only converts links when the post is saved or modified, ensuring no performance impact during normal message viewing. This addon make 2 template edits in order to add a checkbox to the post template advanced option section. This option allows a user to disable the function for a particular post as some links are better left as URL’s.